Jordan Lake surprised me again today. I had been counting bald eagles for the quarterly eagle count when a large bird of another sort flew past. It was a white pelican. I see these occasionally at Mattamuskeet or at the ocean shore but not here at Jordan Lake. What a wonderful sight on a crisp autumn morning. 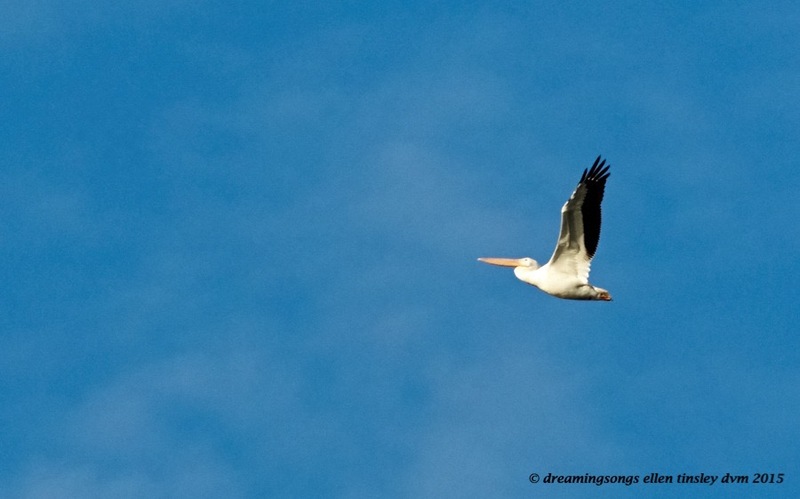 Posted in birds, Jordan Lake, photography, wild birds and tagged as American white pelican, Jordan Lake, Jordan Lake State Park, pelican, white pelican.